Mrs. Nelson was born and raised in Cambridge, Minnesota. In search of adventure, she joined the U.S. Air Force where she served in Space Command reporting on space operations world-wide. Her first assignment was to Colorado Springs, CO were she fell in love with the mountains! After completing her enlistment, she moved to Albuquerque, NM were she earned her Bachelor of Science in Education from the University of New Mexico. Mrs. Nelson’s husband, Joel also served in the U.S. Air Force, which allowed them to live all over the U.S. and travel abroad. She taught elementary school in Ohio and Virginia until the arrival of their first child. Mrs. Nelson and her husband have three children that she home schooled for four years in Classical Conversations. She is excited to be an Aide at Golden View Classical Academy and to see her children continue their classical education. In her free time she loves to cook with her daughter, travel, play volleyball, grow a love for reading the classics with her children, host friends for dinner, RV with her family and visit national parks, ski, hike, swim in the lakes of Minnesota, and occasionally scuba dive with her husband. Mrs. Emge is a Colorado native who lives right here in Golden with her family. She has eight years of experience teaching First Grade. This is her third year at Golden View Classical Academy. Her academic interests include history especially the American Revolution. Her interest in the American Revolution was sparked when she began teaching the unit to her students. Their desire to know more motivated her to learn more as well. Her background includes a liberal arts degree from Regis University, a master’s degree in Multicultural Education from CU – Boulder and teaching at a charter school in Denver working with a large population of ESL students. Her favorite part about being a teacher is watching her students experience new content and sharing what they know. In her spare time, she enjoys spending time with her husband and their two sons. She is a huge sports fan and loves rooting on the Avalanche, Rockies, and Broncos. Her family considers her a Pinterest queen, and on the weekends, she is known for trying out new recipes or doing something crafty. She is very proud to be a founding teacher at Golden View Classical Academy and looks forward to helping it become one of the best schools in Colorado. Ms. Carrier is in her third year of teaching at Golden View Classical Academy. She graduated from Hillsdale College in December of 2014 with a Bachelor of Arts in Spanish and a double minor in Psychology and Classical Education. While at Hillsdale, she worked as a student volunteer coordinator for a domestic violence shelter and as the student director of the Grewcock Student Union. She enjoyed being a member of three national and international honoraries, including Sigma Delta Pi, Lambda Iota Tau, and Psi Chi. As the daughter of an Air Force retiree, she lived in a number of places throughout her childhood, including Misawa, Japan; Jourdanton, Texas; and Colorado Springs, Colorado. Her family and Golden View Classical Academy brought her back to Colorado in July of 2014. She greatly enjoys spending time with her niece and nephew, reading, baking, running, and going to concerts. 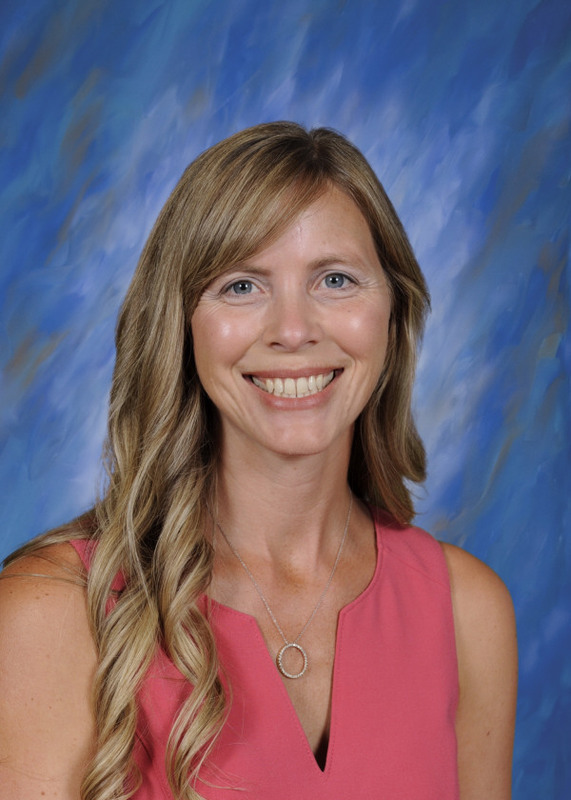 At Golden View Classical Academy, she serves as the Chapter Adviser to the National Honor Society and as an Assistant Coach on the Middle School Track and Cross Country Teams.